Broste Grey Leather Rug. 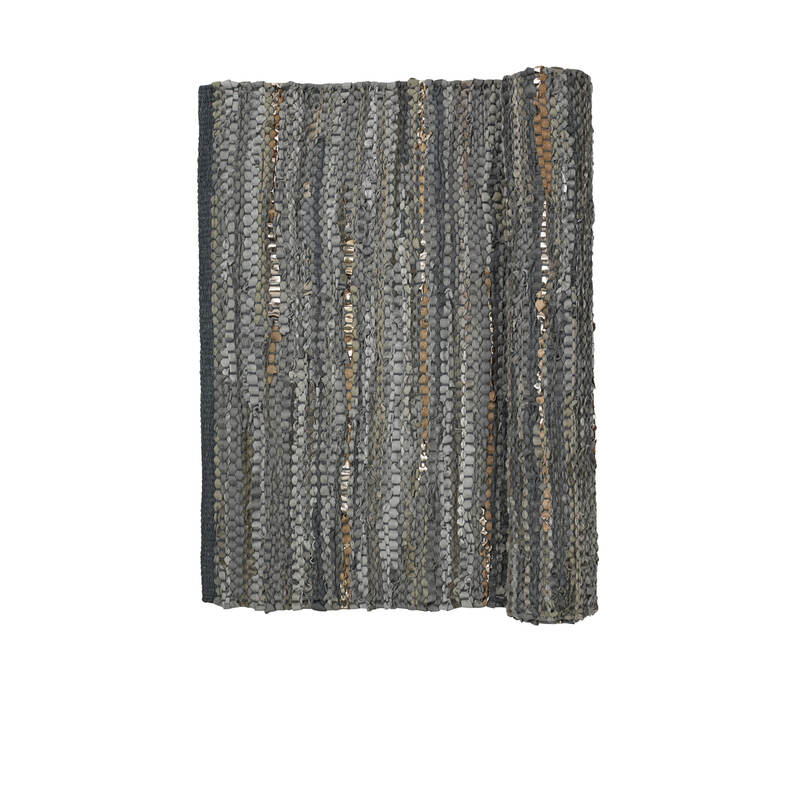 This rug is handwoven from recycled leather, the hit of metallic gold running through reflects the light beautifully. Perfect for adding texture and warmth to your room.